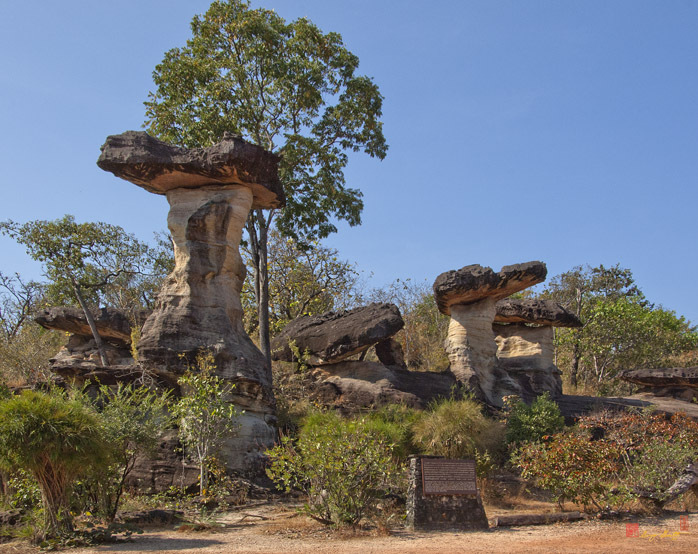 2007 Photograph, Sao Chaliang Stone Formations, Pha Taem National Park, Ubon Ratchathani, Thailand, © 2014. These mushroom shaped stone formations are composed of two layers of sandstone, the softer one dating from approximately 180 million years ago and the harder capping layer dating from approximately 130 million years. The sculpting is primarily due to wind weathering away the softer sandstone layer during dryer periods in the past.